I first discovered the concept of long distance hiking around 10 years ago and being an individual with an obsessive personality, I was instantly drawn. I mean who wouldn’t want to spend somewhere between 2-20 weeks just walking through nature? For me being obsessive doesn’t just relate to the physical activity it’s about the whole package and that includes the planning process and information gathering. I really do get my money’s worth out of a hike. So when it came time to do my first 1000km hike this need to have all the information drove me to seek professional help from a number of different sources. I enlisted the guidance of a podiatrist, a nutritionist, and the exercise research institute at at the University of Canberra (UCRISE). In addition, I undertook a series of comprehensive blood tests, both before and after the trip to see the impact on my blood chemistry. Some of the information discussed in this article is anecdotal, however much of it has been drawn from the rigorous testing undertaken as part of this trip. This article discusses the physical and mental impacts of undertaking a 1005 km (624 miles), five week hike on the Bibbulmun Track. If you are looking at undertaking similar trips hopefully this will provide some in depth information you can cherry pick as you need. I commenced the planning process for my Bibbulmun Track journey about 2.5 years out. The starting point for this trip was that it would be done as a thru-hike (all in one go) and over a period of 5-6 weeks. The duration of this trip was based on my available holidays as well as the purely arbitrary figure of walking 20 miles (32 km)per day which is a figure bandied about on the US long trails and is considered to be a good pace. While this hike was a standalone journey, it was also a test of my abilities to feed into much longer hikes I have planned over the next 5-7 years (I did say that I’m obsessive). Australia has limited long distance hiking research so I had to draw many of my background sources from the USA where this type of hiking is much more common. Initially what I needed to know was what were my personal limitations. How far was I capable of hiking in a single day? How well could I back this up over a series of days? How many calories do I burn when I’m hiking and as such, how much food do I need to carry? So began a series of long distance and multi day hikes to test this all out. I have always been a walker and I will typically average around 75 km+ of walking each week over a variety of terrain which includes walking to and from work as well as a weekly hike. So could I push this out to be able to do over 200 km in a week for a five week plus period? Blisters aren’t generally a consideration for me but given the enormity of this trip I wasn’t totally sure what was going to happen as I had no frame of reference. My biggest concern was potential overuse injuries which is one of the many reasons that people leave long distance trails. Over the duration of my hike I talked to four other hikers who has ben forced off trail for around two weeks due to overuse injuries. This testing involved a number of walking trips including participating in an annual walking events which involved a 42 km plus a 29 km walk on two consecutive days. A single day 54 km return trip into the Bimberi Wilderness just outside of Canberra to Mt Bimberi and finally a three day, 145 km walk, on the Canberra Centenary Trail which included two days over 50 km. I managed to do all these walks without having any overuse issues such as shin splints or facia tendonitis and learnt that I was capable of covering these big distances over a variety of terrains at an average (conservative) walking pace of 3.75 km per hour with a full pack. One issue that all this training did highlight was getting hotspots on the balls of my feet where I was travelling 25 km plus over repetitive days. I also discovered that I grip with my toes when I walk regardless of the footwear. I realised that foot taping was the way to go and while there are plenty of videos online showing how to do this, I decided to visit my podiatrist to get taping lessons prior to my hike as ‘seeing’ and ‘actually doing’ are two different things. Given the length of days that I was doing this ended up being the single most important thing that I did prior to my hike. Over a period of 18 months I kept a detailed food diary via the use of my Fitbit fitness tracker and what I learnt from this is that on the days where I hiked the big distances (35-58 km) I would burn anything up to 8500 calories. The other bit of information I gleaned from this was that for each 200 calorie deficit between food in versus energy used I lost 100 grams in weight. This just reinforced what I have found over the past 12 years on two week long hikes where I would lose around 7-8 kg on average. What was a five week hike going to do to me? This was a real concern! A contributing factor in this weight loss for me is that hiking is an appetite suppressant so I really have to force myself to eat at the end of a long day. There is no way I could carry the calories I needed and even if I did, I just couldn’t force myself to eat that much. This is a hard one to test. The main issue to consider here was the ability to hike for multiple weeks. Whether you are solo hiking, or with others, there are a range of issues to consider. If you are solo hiking you can travel at your own pace but as a species we are social animals so many people struggle with being alone for so long. If we hike with others the group dynamics can be an issue. I have lost friends on holidays before and as we don’t tend to go away with friends. Long distance hikes can really test personal relationships. In any case I had never done a hike long than 15 days in the past or for that matter a long distance solo hike. I’m an individual of extremes, I love the company of people but I’m also equally happy to be alone. I was confident of my own mental resilience but only time would tell over a five week period. My average daily intake of calories sat around 2775. Given the deficit in calories I was carrying I wanted to make sure what I was carrying was as good as possible. 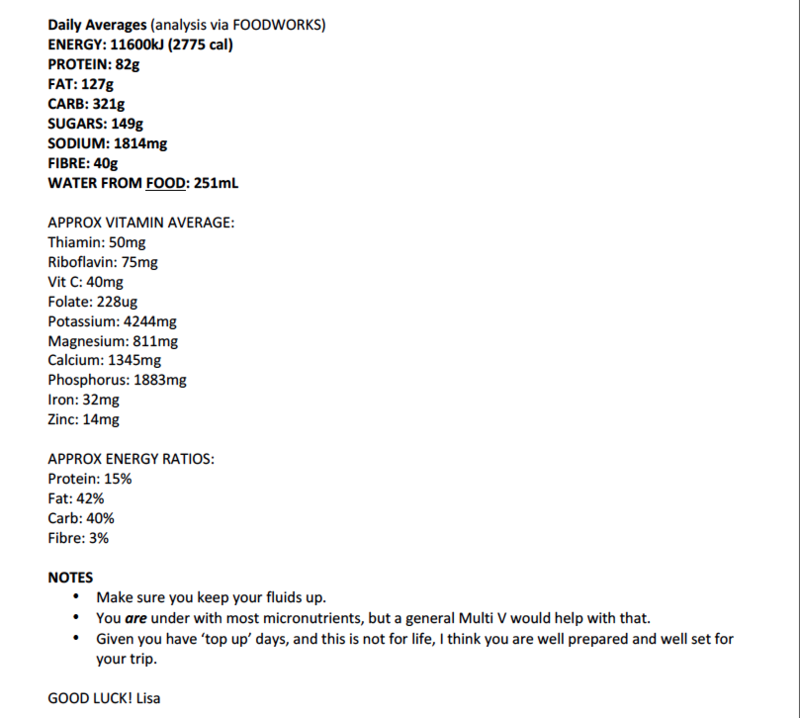 To work this out I put together a detailed food list prior to the trip and had a nutritionist give it the once over. What she came up with was the obvious ‘lack of calories’ but in addition she identified a lack of micronutrients so recommended that I take a daily multi vitamin. This was not an expensive test and I would recommend it to anyone. A borderline result on type 2 diabetes which is something that I have had since early teenage years. What can I say I love my sugar. 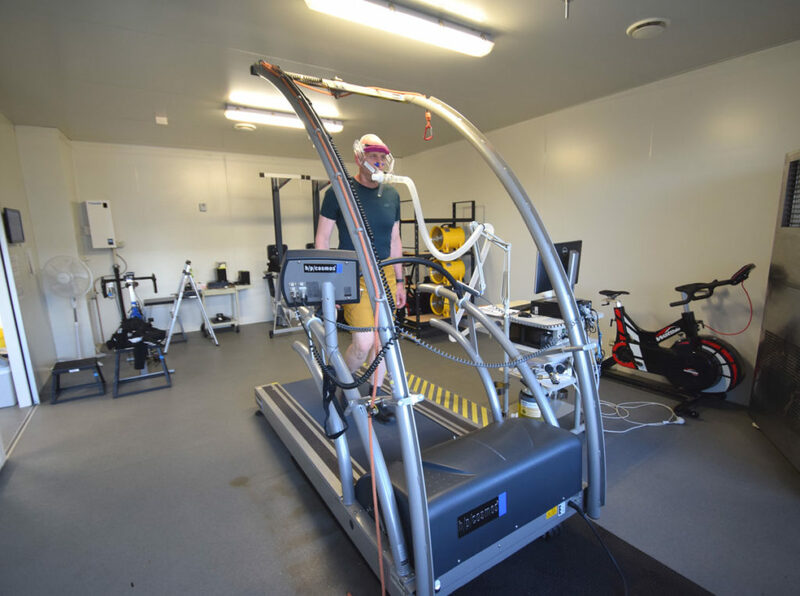 I approached the University of Canberra to have comprehensive exercise testing done before and after my hike. The test looked at Body Composition, Resting Metabolic Rate and the Physiological response to treadmill walking. So while the BMI is above the recommended limit, classing me as overweight, I do usually carry a lot of muscle, hence the low body fat. I have found over the years that my ideal weight is 93kg. It minimises my snoring which my wife greatly appreciates and also means that I can sleep on my stomach which is something I don’t find comfortable at a higher weight. I started my hike at 98.5kg and while not planned this wasn’t a worry as I wanted a bit of additional weight to balance out my expected weight loss which I knew was going to be big. So What Were the Impacts of a Five Week Hike? I managed to complete my 1,005 km journey in 36 days (one day ahead of schedule) which consisted of 32 walking days and four rest days. So how did things go? My hiking days ranged between 10 km to 44.1 km/day for an average of 31.25 km per day. A fair number of these days were over 32km, which prior to the trip, I had estimated I would do this at an average pace, with a fully loaded pack, of 3.75 km per hour. In reality I ended up averaging 4.25 km per hour (including breaks) which means that my average day was just on 7 hours. I averaged around 45 minutes for lunch and snack breaks each day. I tried to be on the trail each day by 7:30am-8:00am each day; earlier if I was planning a 40km day. I’m also not the sort of person that can just sit idly once I get to camp, I always have to be doing something so on most days I aimed at reaching my overnight stop somewhere between 4:00pm-5:00pm which would allow me to set up my gear for overnight and eat dinner while it was still light. There were four occasions where I was hiking into the darkness not reaching camp until just before 7:00pm on my latest day. From a fitness perspective I reached my peak around week three of the trip and given by that time I had lost a fair amount of weight that is understandable. On my five week trip what I did learn (via my Fitbit) was that I was burning on average 5793 calories per day. I originally planned on carrying an average 2775 calories of food each day but ended up eating 1859 calories per day with the uneaten food sent home. While I was unable to weigh myself until around eight days after the hike, I estimated I had lost around 15 kg all up. When I did get to a set of scales my official weight loss was 8.8 kg. When I hit my town stops was I made up or my food intake on the trail, gorging on pizza and cheese in general. When I reached Collie I ate an extra meal on my rest day which consisted of many, many calories from McDonalds. My nutritionist contacted me via social media at the time and said that while she doesn’t normally recommend fast food but that I should ‘go for it’. She also suggested I head to the local chemist and pick up a product called Poly-Joule which can be added to most liquid and semi-solid foods to increase their energy and carbohydrate content. I didn’t have the opportunity on this hike but will add it to my daily intake for my next long trip. Both of these changes were also after putting weight back on prior to the testing. The changes to the metabolic tests were not so clear. This had improved and I certainly noticed this on the treadmill test finding it much easier than the first time round. The fact I was many kilos lighter by this time impacted greatly on the changes here so it was hard to attribute improvement to improved cardiovascular fitness from all the exercise as opposed to just the weight loss. Given the above its not surprising I also lost muscle mass and this was most noticeable in the upper body which is a pattern I expect on my longer hikes as I’m not lifting weights. I found by the end of the trip my pack, which was quite comfortable at the start of the trip, was starting to dig into my shoulders as all the padding had disappeared. As a general comment I reached peak fitness towards the end of week three and this was most noticeable coming up a the steepest hill of the entire trip very as I headed towards my camp (Swamp Oak) for the night. Whereas in the first 2.5 weeks I was having to regularly stop to catch my breath, at this point in the hike I found it quite easy to power up the steepest hill of the whole trip with a full pack. This is one of the biggest advantages of doing a long distance hike all in one go as opposed to section hiking is that you develop a very high level of fitness. When you hike in sections you have less opportunity to reach a very good fitness level before you stop and then start all over again for the next section. The reduced weight that I was carrying also meant as expected that my snoring had greatly reduced. As mentioned the foot taping was by far the best thing I learnt prior to this hike and something that will set me up for every long distance hike I do in the future. It prevented the friction that creates hotspots on the balls of my feet which can potentially lead to blisters. I used the taping extensively for the first 2.5 weeks and less so during the remaining half of the hike. I ended up just taping the balls of the feet on my big days and occasionally the heels rather than the whole foot as is shown in the image in this article. At the end of the trip one thing I did find post hike was that my feet actually hardened up and where this hard skin met the soft skin on the side of my feet it was actually painful. Over the following five weeks the callousing peeled off and my feet returned to normal. Now onto the airy fairy stuff and this is where I give you how I felt as opposed to any actual tangible evidence. I found that over the duration of the hike I didn’t have a problem being alone. In researching for this article I learnt that an average person has anywhere up to around 60,000 individual thoughts per day. Now there seems to be disagreement about how accurate this figure is but the lowest figure that is floating around is about 12,000. Imagine having all the time in the world just to think; and so I did. This hike allowed me to think through so much that was going on in my life as well as to solve the problems of the world. For some people though this solitude is overwhelming and if that’s you, then solo hiking may not be for you. Hiking with one other person may also not be suitable unless you manage the interaction over an extended period and allow each other a bit of space from time to time. this is a skill you learn quickly if a relationship is going to survive a long distance trip. In regard to the mental challenge of walking 1000 km all by myself, my strategy was not to think that I had 1000 km to go. Or even that over a given week I was averaging 200 km. Or even over a given day I might be walking 40 plus km. What I ended up doing was breaking each day into two components and treating each day as two seperate hikes which became much more manageable as two 20 km hikes rather than a single 40 km hike was easier to comprehend. I particularly loved it when the morning section was longer than the afternoon as this meant my after lunch hike was shorter than what I had already achieved. I managed to get through most of the hike in a fairly good mental state. The slump I had read about so much from American websites that is supposed to occur when the realisation sets in that your journey is almost over, was nowhere in evidence; that is until the last day when it hit me big time. I had been living and breathing this hike for just on five weeks and was feeling quite buoyant. I would go into autopilot each day going through a familiar routine from getting up in the morning to going to bed at night. On my second last day I decided not to do a 38km km day to finish the trip but instead stopped around 10km short. Doing this extra distance wouldn’t have been an issue but this would have had me finishing towards dark. Instead I stopped short at the last shelter on the trail leaving around 10 km to go. The last day was when the realisation hit me. I left the shelter late feeling in no rush. I dawdled at a remarkably slow pace of the whole trip, and when I stopped to do the last on-trail social media 10 minutes after I left camp it took me around 14 attempts to get a recording…because I just became so emotional talking about the end of the trip. I realised before I started this trip this was my longest holiday in over 40 years (I worked during the school holidays from the age of 15) and I enjoyed it. At the end of the trip I was physically very fit and the lightest weight that have been in over 25 years. Physically I lost muscle mass but I feel great. I have put on most of the weight that I lost but I do love my food. Again on the physical side there are no long term effects however for me that was never in doubt having spent the majority of my life with a high level of fitness being the norm.What has changed is my mental state. It’s now been seven weeks since the trip and ended and I’m still struggling to get back into a routine ‘in the real world’. 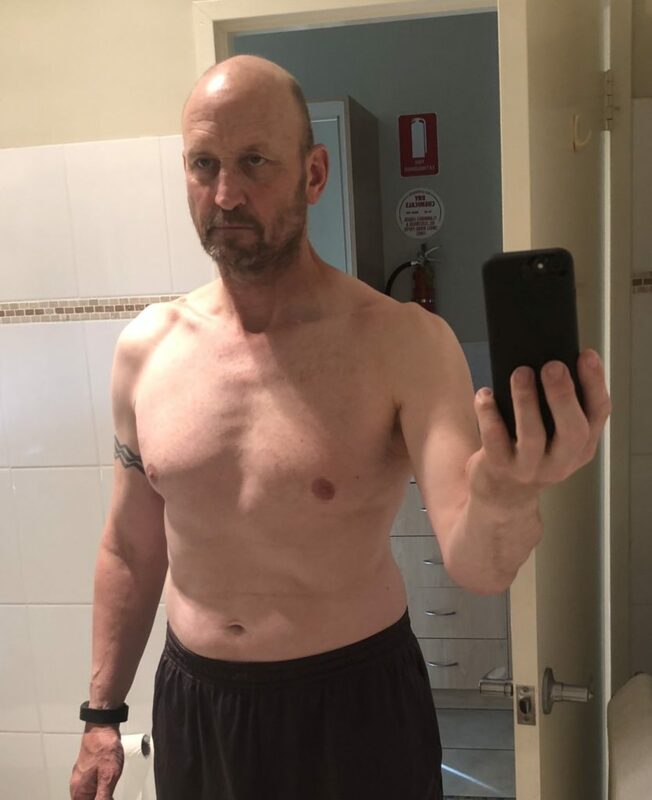 I am also struggling to get back into my exercise routine which I have had for more than 20 years, my home routine which includes writing articles for this blog is erratic and I still haven’t written up my review for the Bibbulmun Track at the time of writing this article. Thats next! While I had a very good theoretical grounding in what to expect from doing a long distance hike in practice it was a very different thing. There are any number of US based articles on how ‘Thru-hiking Ruined my Life’ and my own experience has been just that; in a positive way. The wish list of things I want to achieve in my personal and professional life is still there but the focus has now changed. I’m no longer willing to wait till retirement to make these things happen, instead I want them now. I have come back from this experience with more surety on what I want and the determination to make it happen which can only be a positive thing. I now look at life through a different lens and things that I was willing to accept prior to my trip are no longer palatable. So when I say that this hike ruined my life it ruined a less perfect version of the life that I want and showed me what’s important. Now I just need to work out how to achieve it. So if you are planning on doing a long distance thru hike, my conclusion is that the physical stuff can be managed and while you may not choose to do big distances providing you allow yourself enough time to build up your fitness and to minimise the weight that you carry you can deal with those issues. The mental side is a different beast. People often discuss the pros and cons of doing a long hike as a thru-hike as opposed to a section hike; there are positives doing a hike either way. For me the main takeaway that I got from my trip was to learn what’s really important in life and to not underestimate the importance of this; the scenery was just a bonus. So if you are about to do a long distance multi-week hike be prepared for your thought processes to be forever altered. Your life will never be the same again, and you’ll be glad of it. Over the duration of the trip I took a selfie each day to map the physical changes. This short video shows the physical changes I went through as last as shown by my face.